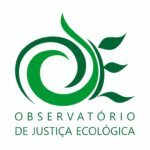 The Environmental Justice Observatory (Observatório de Justiça Ecológica, OJE) is a research and action group in the areas of international law, environment, human rights and animal rights. It is linked to the Graduate Program in Law of the Federal University of Santa Catarina (PPGD/UFSC). This area of investigation arises from the need to offer systemic responses to environmental conflicts in Brazil, which are increasingly numerous in spite of legal initiatives, among others, to ensure the strengthening of democracy. The Observatory aims to investigate the relationship between democratization of Latin American countries since the decade of 1980, particularly in Brazil, and the increase of environmental conflicts that indicate that the dominant logic continues being a logic of exploitation of natural resources, without considering parameters of environmental protection and respect for the rights of human and non-human animals. Against the backdrop of the sharpening of conflicts related to the dominant modes of appropriation and territorial management, including evidence of cases of more or less ostensive violaton of the existing environment legislation, the Observatory aims to contribute to actions in defence of the environment, including its sentient part: humans and non-human animals. Since 2014, the Observatory is part of the Directory of Research Groups of the National Council of Scientific and Tecnical Development (CNPq).